Launch Day of Tentacles and Teeth! 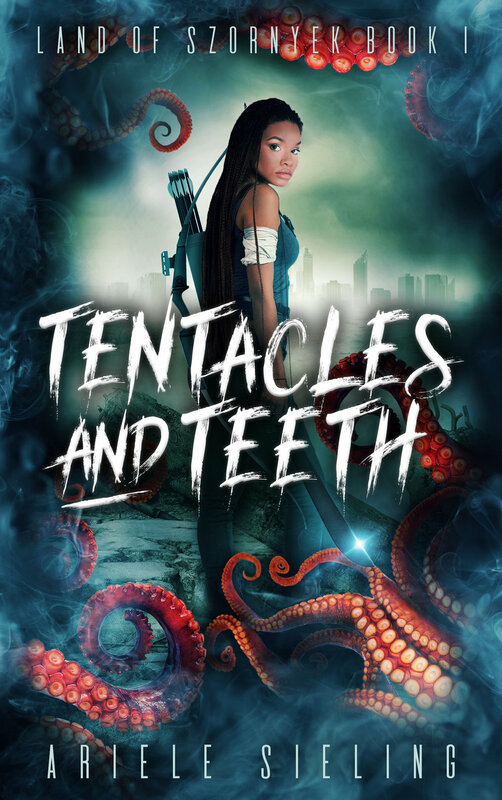 I'm stoked to announce that you can now purchase Tentacles and Teeth on Amazon! The e-book is $2.99, and the hard copy is $15.99. To celebrate, I'll be doing a Facebook Live event at 7:00 PM EST on my author page. You can click here for more information. There are still a few hours left to enter the giveaway, as well! If you're interested, just reply to this email and tell me what your favorite monster is in film, literature, real life, or wherever, and why. The prizes include books, a backpack, journals, drink tumblers, and lots of fun monster-themed items. If you purchased the book from me at an event over the last few months or are a member of my Patreon, I would be eternally grateful if you left a review. Reviews help the book get more visibility in the Amazon algorithms as well as give me more options for advertising platforms--not to mention, it gives other people a glimpse into what you thought of the book. Click here to leave a review. I am thrilled about this book, and thrilled to have the opportunity to share it with you! For updates on Tentacles and Teeth, book launches, and more, sign up for my mailing list!